Water media painting using watercolor, acrylic and charcoal. In the Catitudes series, the cats represent me and the boxes symbolize life and its circumstances. 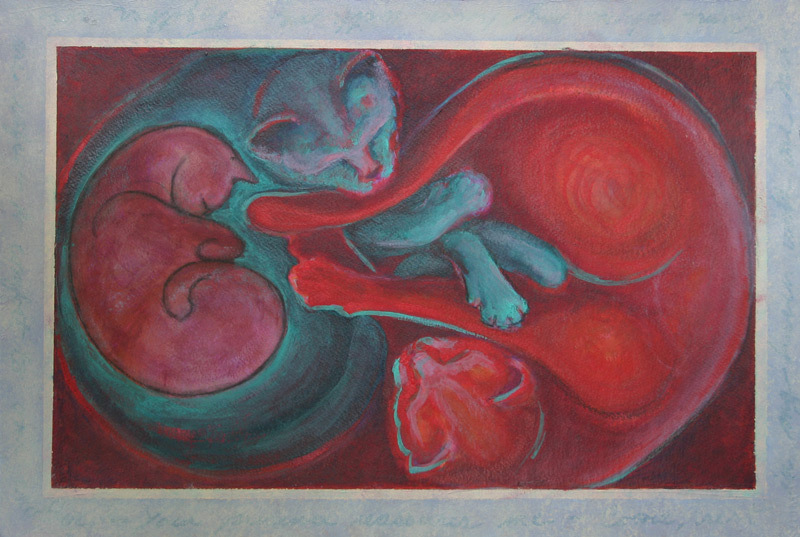 In this painting the cats, both mature and immature are safe with family inside the box.